When I was asked if I would be interested in writing an article here on ILoveGrillingMeat.com I jumped at the chance. This opportunity allows me to combine two of my favorite things, writing and BBQ. Then I was faced with a question. What do I write about? I was thinking about this while at work one night and it hit me. I will share a basic homemade sweet and spicy dry rub recipe for chicken and how you can customize to your own personal taste using a bit of creative thinking. Even though I had big plans for what I was going to use this rub for, I wanted to keep it simple to start so that anyone that had basic spices on hand in their kitchen would be able to create this dry rub from scratch. Since this is a basic dry rub I began thinking about what other flavors could I experiment with to improve the taste to my liking. For example, instead of just basic chili powder I’m going to experiment using chipotle and some other chili type powders. I began wondering what other sweet could be used to substitute the brown sugar? I then asked myself has anyone I know ever tried incorporating honey into a dry rub? I began googling and found my answer in granulated honey. You can find granulated honey here on Amazon. I will personally be using it with the next batch of sweet and spicy dry rub that I make. 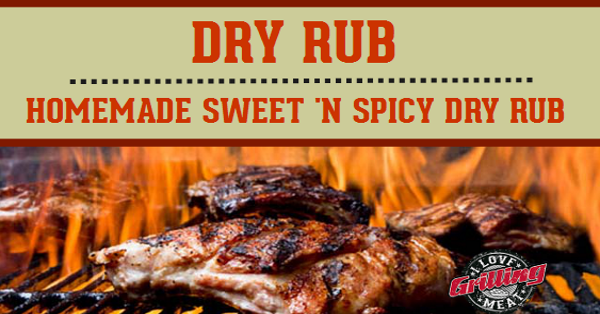 This rub recipe has many uses. I used it for my first attempt on chicken drumsticks and I think it would go beautifully on wings. The possibilities are endless when you have the willingness to experiment with your own ideas so if you do try this dry rub recipe or a variation of it, please let me know how you liked it in the comments below and what winning changes you made to this recipe because its all about your personal taste. Huli Huli Chicken Recipe (Hawaiian Style) This Huli Huli chicken recipe is a taste that originated in Hawaii and has been a huge hit around the world so we’re sure your family and friends will love it!